The total number of international tourist arrivals to Sri Lanka during October 2018 was 153,123. In comparison to October last year, there is a growth of 0.5% when the arrivals were 152,429, monthly Tourist Arrivals report published by Sri Lanka Tourism Development Authority stated. The largest source market for tourists in October was India, followed by China and United Kingdom, with almost 98% of tourists travelling by air the report said. As at October 31, 2018, 1,885,045 tourists had visited Sri Lanka for this year. It is a 10.6% growth over last year when 1,704,360 tourists had visited the country during the same period. 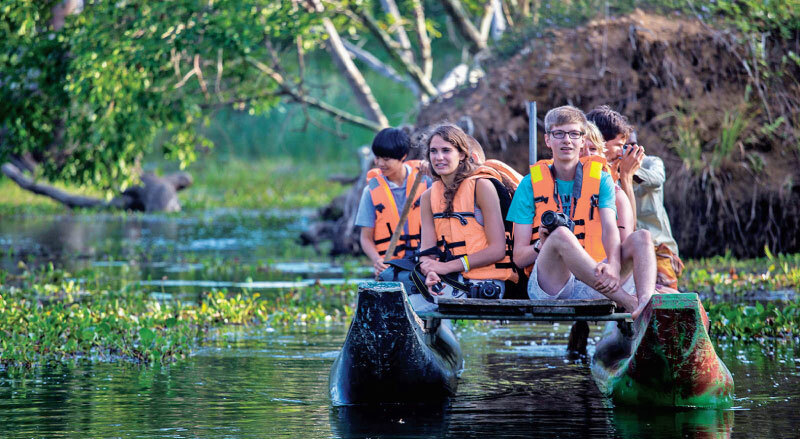 Asia and Pacific continued to be the largest source of tourist traffic to Sri Lanka with 47% of the total traffic received in October 2018. Europe accounted for 43% of the total traffic, America 6%, Middle East 3% and Africa 1%. India, China, United Kingdom, Germany and Australia were Sri Lanka’s top five international tourist generating markets in the month of October this year. India was the largest source of tourist traffic to Sri Lanka with 25% of the total traffic received in October 2018. China and United Kingdom accounted for 12% of the total traffic, while Germany and Australia accounted for 7% and 5% respectively.